​Mindfulness is relevant to all who wish to live life more peacefully. In numerous studies, mindfulness-based approaches have been shown to enhance well-being, reduce depression and stress, and facilitate wiser responses to a range of physical and psychological health problems (Hoffman, 2010; Gotink 2015). There is also a growing South Australian evidence base demonstrating the value of mindfulness in depression, stress and anxiety states (Kenny, 2007; Mathew et al, 2010). Mindful Self Care Programs were established in Adelaide in 2008 by Dr Maura Kenny with a view to offering health professionals the opportunity to undertake mindfulness courses that were applicable to managing stress in the workplace. The realisation that mindfulness is relevant to all who wish to live life more peacefully soon saw the courses being offered to other professionals who wished to practice mindfulness to benefit their personal and working lives. The courses introduce the concepts and practices of Mindfulness Meditation with a particular emphasis on learning how to manage stress more effectively in work and home situations. Eight week Mindfulness-based Cognitive Therapy (MBCT) courses for stress management were offered for many years with measurable improvements in stress and anxiety in those who participated. As increasing numbers from the medical profession became interested in this approach, Maura was invited to speak at a variety of medical conferences and meetings on the topic of resilience and wellbeing in the medical profession. Recognising that many doctors are both tired and time poor, she developed a 6 week Introduction to Mindfulness course for healthcare and other professionals to provide of a taste of what was possible with this approach. Shorter practices and exercises are taught that can be woven into even the busiest of lives, and which open up some space to live more easily, to breathe more freely, and to renew one’s energy, productivity and enjoyment of a life in the health care profession. 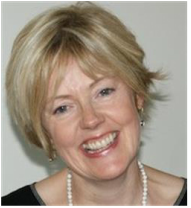 Maura is a Consultant Psychiatrist and a long-term meditator within the Insight Meditation tradition. She is the Coordinator of the Mindfulness-based Cognitive Therapy (MBCT) Programs at the Centre for the Treatment of Anxiety & Depression in SA Health, and specialises in the areas of Stress, Mood and Anxiety disorders. She has conducted some research in these areas, and has used mindfulness approaches in clinical, organisational and workplace settings. Maura is interested in the wellbeing and resilience of the medical profession in particular, and has developed a 6 week mindfulness course for healthcare and other professionals. She teaches these courses regularly through the year. This group is now called the Mindfulness Teachers Network SA and many of these teachers are involved in teaching the 6 week Introduction to Mindfulness courses in various settings as needed. For those 6 week course participants who wish to move onto more in-depth courses or who wish to train as mindfulness teachers themselves, longer courses and retreats provided by these skilled teachers are highly recommended.